This picture comes from Frank Dawson's collection. 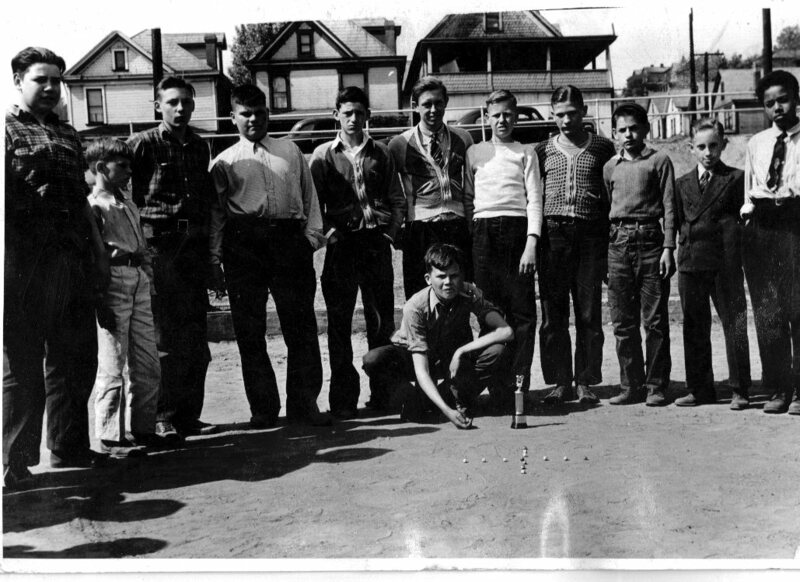 There was a time in the early to mid 20th Century when playing marbles and marble tournments were very popular in and around East Liverpool. Quite possibly around the country as well. 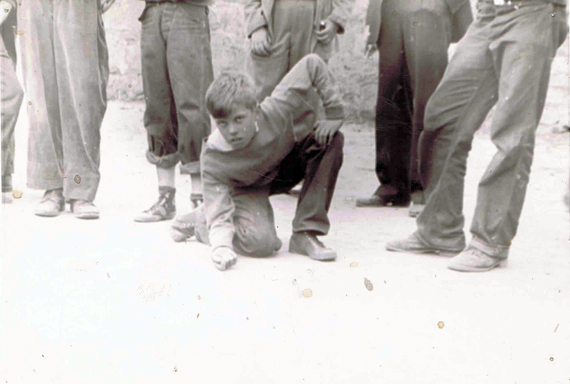 Frequently during recess at the various neighborhood schools in East Liverpool you could see groups of boys playing marbles on the school playground. Between Bradshow Ave. and Minerva Street. Winners of a Marble Tourney May 2, 1941. Both Pictures courtesy of Frank Dawson, From the Frank Dawson personal collection of photographs.